Finding Used Range Rover Parts and Accessories has Never Been Easier! Many Range Rover truck owners praise it because it offers a nice combination of durability and dependability. However, as durable as the Land Rover trucks may be, certain situations may arise where you will need to repair it and find used Range Rover parts. Whether your need for parts is the result of an unfortunate accident or simple wear and tear, you always want to make sure you get the right used Range Rover parts or accessories so that everything is working and looking the way it should. That is where UNeedAPart.com comes in - the free locator service that specializes in finding exactly the part you need to make either your vehicle or the vehicle of a customer whole again. With access to over 7,000 parts dealers, finding the right used Range Rover parts has never been easier. Not only that, but our system gets you the parts you need as fast as possible! If You Need Used Range Rover Parts, We Can Find Them! When it comes to durable, hard-bodied SUVs, Range Rover trucks offer a nice combination of traditional reliability with a unique approach to style and design. However, Land Rover Range Rover parts are just as complex as any other vehicle and can be very expensive, especially if you purchase them from a dealership. 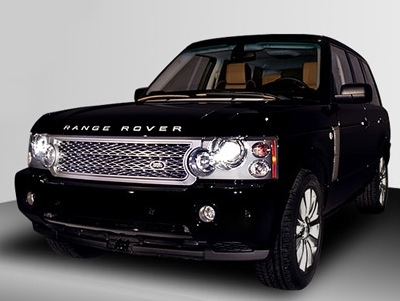 Fortunately, UNeedAPart.com solves both the availability and cost issues of used Range Rover parts. We have a huge network of parts suppliers dedicated to getting the right parts and accessories to you as quickly as possible. If you own an auto repair shop and need a factory-built Range Rover radio, we can find it for you. If your customer's vehicle loses hard-to-find accessories or needs a set of replacement Land Rover Range Rover wheels, we will find a parts shop that has them in stock, so you never have to wait long for the part to arrive. Try our service and you will see that no other parts locator comes close to the selection, cost and speed of UNeedAPart.com! Finding the right used Range Rover parts is easy! To get started, simply use the Parts Request boxes at the top and/or side of the page. We will instantly match you with auto parts dealers that meet your search criteria. UNeedAPart.com helps you find the used auto parts you need in no time!